Captcha or word verification in my opinion is very inconvenience and a torture. Words are really hard to read and it only delay visitors to comment on the blog. If you are worried of the spam comments there is other way to prevent it by moderation. Comment moderation is necessary in case of disabled word verification .The spam comments can be rejected in this setting. Here are the steps to disable the word verification. 1. Go to dashboard.Make sure that you are on an old blogger interface. 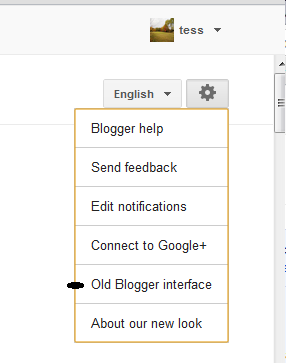 The tab is at the upper right side.Click the "old blogger interface " to change. 4.Set the comment moderation to "Always". 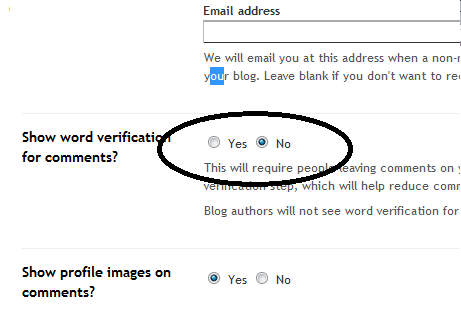 5 Click "No" for Show word verification. Why set comment moderation to always? This is a very good topic to write about, I discovered that blogger comment box discourages comment and the word verification compound the whole thing. Removing it is the best option in encouraging comments. 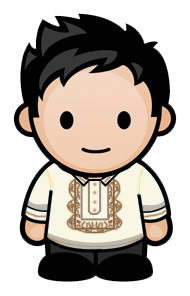 Keep the good work sir.